Welcome to the Philips Oral Healthcare series of dental podcasts. Top KOLs, through dental podcasts, will address clinical techniques, new products and the latest research and development at Philips Oral Healthcare. 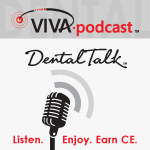 Dental podcast hosted by Dr. Phil Klein: This Viva Podcast will discuss the basics of in-office whitening and how it is good for your bottom line. Our guest is Dr. Gerard Kugel, an associate dean for research, and professor of comprehensive care at Tufts University School of Dental Medicine. Dr. Kugel has published over 120 articles and over 300 abstracts in the field of restorative materials and techniques. He lectures both nationally and internationally and is part of a group practice, the Trinity Dental Center, located in Back Bay, Boston.